I will always have a soft spot for the Teton Sports Scout 3400. The Scout 3400 was the first pack I used on my first backpacking trip and has served me and others very well. I will start the post by saying I highly recommend the Scout 3400 to anyone looking to get into backpacking. It is not the lightest pack out there, but it is very durable and can take a beating. The pack is rated at 55 liters, which is adequate for most overnighters and multi-day hikes (we use 46 liter packs now and they are just fine). It uses a tall narrow stuff sack body with one divider. 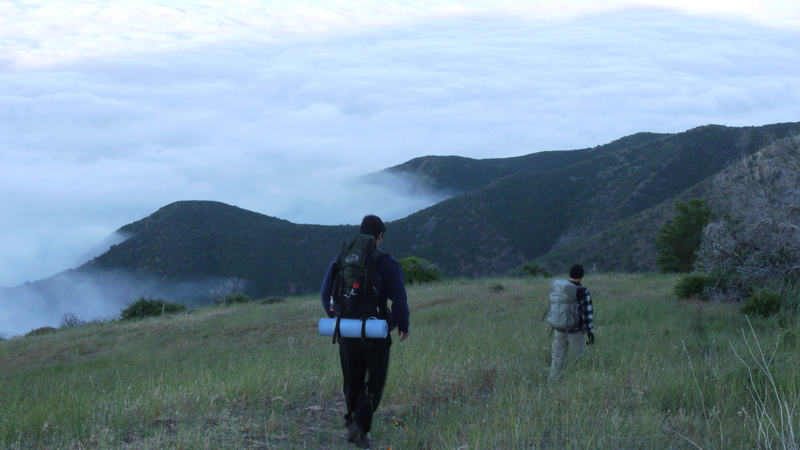 It has adequate space for most gear, but bear canisters, tent poles, and other larger items may need to be hung on the bottom or strapped to the top of the pack. In fact, the pack will barely fit a BV500 bear canister inside, you either need a smaller canister, or have a buddy carry it. Most of these problems won’t be too big of an issue. We found that the external middle zipper pockets fit large water purifiers, stoves, and fuel – you can easily pull these out of the pack without much trouble. Teton used open cell foam on the waist and shoulder straps, making the pack fairly comfortable with moderate weight. The shoulder straps are height adjustable and one size fits all. Teton doesn’t incorporate an open air pocket to ventilate the back, but we are OK with giving up that feature for the price. 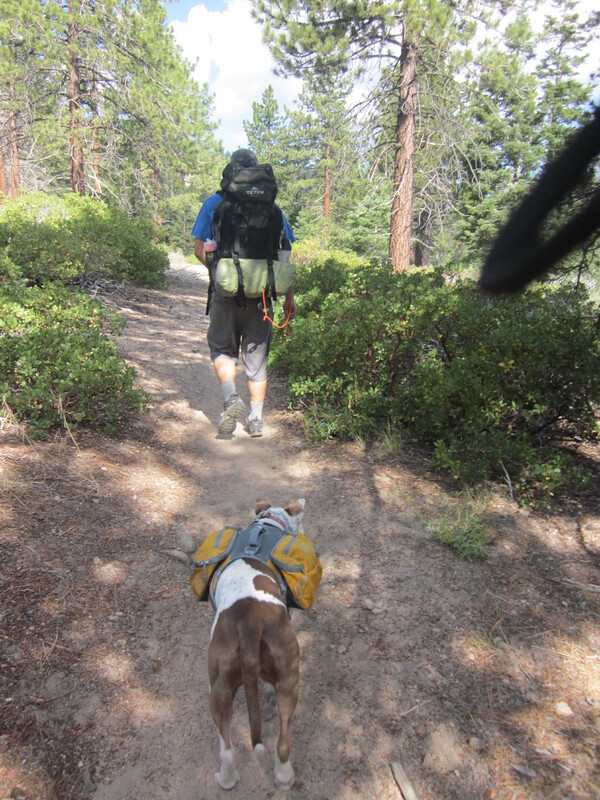 It also allows the pack to stay close to your body, keeping the weight fairly centered. One thing we noticed is that because the pack is tall, it may swing left and right if not strapped on properly. Uneven weight distribution is fairly noticeable if you do not fit the pack properly. As such, I highly recommend having a friend fit the pack to your body, making sure it its comfortable. The hydration pack hose clips may get in the way. While most companies use bungee or nylon webbing, Teton uses plastic clips. Almost every Scout 3400 I have encountered has had broken clips, which eventually cut into your arms and face. I high recommend cutting and filing the clips off immediately after purchase or take care when taking off the pack. We carry about 20 to 25 lbs on this pack. My buddies that still use this pack to carry 30 lbs comfortably on long hikes. This pack is a tank. The thick rip stop nylon almost feels like canvas. We have dropped this pack off the side of switchbacks, left it to be chewed up by squirrels, and it still keeps going. The straps do eventually fray in certain areas with hard use, but over all the build quality on the pack is exceptional. The pack has served our core backpacking group very well. Three of the six in the group carry the Scout 3400. It is a testament to how durable and affordable the pack is. A lot of backpackers will quickly dismiss the pack due to cost, but fail to realize that you do not need to spend a ton of cash to get a good pack. The pack is still used today as a loaner pack amongst our friends and accompanies us on most of our outings. This entry was posted in Gear Reviews and tagged backpack, backpacking, gear review, gears, Hiking, outdoors, Teton Sport by hikenoworklater. Bookmark the permalink. looks like a steal at $60! We agree! It’s a great and inexpensive pack to get others started with backpacking. I own this bag, and it is great quality for the price. I was surprised with how much storage it has. I also enjoy the rain cover for wet weather hiking.